Democratic Secretary of State Jocelyn Benson’s ruling on the case involving Gretchen Whitmer was considered an early indication of whether she would act independently of the new governor. Editor's note: This story was updated Friday afternoon with several reactions. Michigan Democratic Secretary of State Jocelyn Benson and the state Bureau of Elections have determined that a political group aligned with now-Gov. Gretchen Whitmer and her campaign committee violated state campaign finance laws, Benson’s office announced Friday. The group agreed to pay a civil fine of $37,500 and dissolve within 60 days. “I view this interpretation of the MCFA (Michigan Campaign Finance Act), as applied to this specific set of facts, as critical to promoting greater transparency,” Benson wrote in a letter to lawyers for Build a Better Michigan and Gretchen Whitmer for Governor, dated Feb. 5. 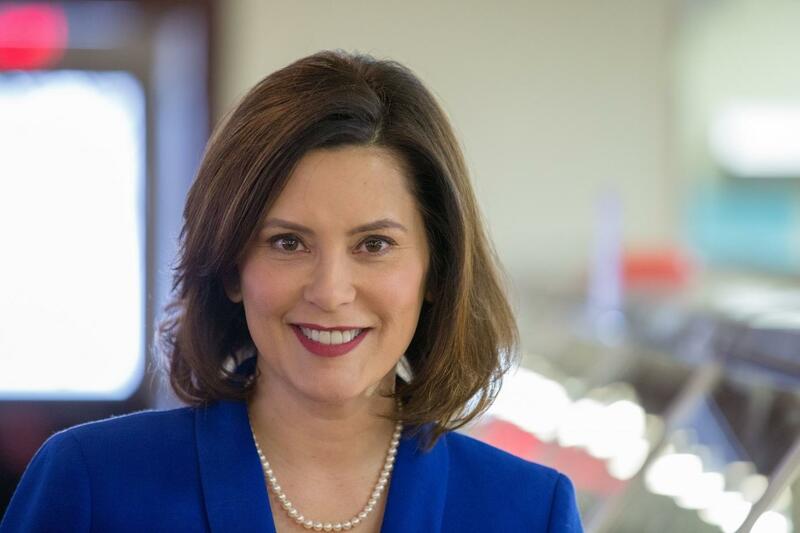 The decision has been considered an early test of Benson’s independence from fellow Democrat Whitmer, who she has been working closely with since taking office. Despite finding against Whitmer’s campaign, Republicans ripped Benson’s ruling as far too timid. “Why follow the law if that’s the consequence? It’s ridiculous. It’s not even a slap on the wrist, it’s a tickle,” said Tony Daunt of the Michigan Freedom Fund. In upholding the complaints by Republicans, Benson determined that both BBM and Whitmer’s campaign committee violated campaign finance law by engaging in express advocacy in both respects: by using the word “candidate” in front of Whitmer’s name and in urging voters to act (“tell your legislators, let’s get it done”) in BBM-funded ads during the 2018 election cycle. The group did not comply with campaign finance rules that apply to groups engaging in express advocacy. "Build a Better Michigan's advertising is part of a long tradition of issue advocacy used for years in Michigan by both parties," said BBM's spokesman Mark Fisk via email. "While we respectfully disagree with the Secretary of State's determination and settlement, we fully intend to comply with her ruling to put this matter behind us and move forward." The complaints were filed last summer against Whitmer’s campaign committee and Build a Better Michigan, a federal 527 organization that spent more than $2.7 million supporting Whitmer during the 2018 election cycle according to campaign finance filings. The state Republican Party and the Michigan Freedom Fund, which filed the complaints, said the group violated state campaign finance rules by engaging in direct advocacy for Whitmer without disclosing it’s spending as “in-kind” contributions to the Whitmer campaign. If counted as in-kind contributions, spending would have violated state law by exceeding the cap on contributions from a single source. Michigan law exempts groups from campaign finance disclosure if they limit their messages to “issue advocacy,” which promotes an issue or idea without directly promoting an individual candidate. Campaign finance watchdogs have noted this is often used as a loophole to avoid campaign finance regulations while advocating indirectly for a candidate. The Michigan Republican Party also said the fine is negligible compared to the amount spent by Build a Better Michigan during the campaign. "Today, Benson cut yet another backroom deal which bails out her buddy, Governor Whitmer, to the tune of millions of dollars. This shameful settlement sets a dangerous precedent on how Michigan’s campaigns will be financed in the future," party spokesman Tony Zammit said in a statement. “By appearing in the ads produced by Build a Better Michigan, Gretchen Whitmer and her campaign have clearly coordinated their activities,” wrote Daunt in a press release announcing the filing last July. Then-Secretary of State Ruth Johnson, a Republican, agreed with the GOP and Freedom Fund in a preliminary decision in November. In a follow-up letter in December, her office asked Build a Better Michigan to provide a response and supporting documentation later that month to rebut the charge. Johnson gave the group an extension on that deadline, Secretary of State spokesman Shawn Starkey told the Detroit News last month, effectively handing over the issue to the new Democratic administration to settle. Another complaint related to Build a Better Michigan has been filed at the federal level with the IRS. Citizens for Responsibility and Ethics in Washington, a national nonpartisan government accountability watchdog, filed a complaint last month against Progress Advocacy Trust, which gave $300,000 to Build a Better Michigan and $1.8 million to A Stronger Michigan (another Whitmer-aligned group), claiming it failed to disclose its donors. Did it go far enough? Michigan Freedom Fund, the Michigan Republican Party and other conservative state politicos said Friday that Benson’s decision is not indicative of a fair-minded Secretary of State ruling against her own party. In fact, it’s so weak it amounts to “corruption,” said Daunt of the Freedom Fund in a press release. In that case, Republican Sec. of State Ruth Johnson required the group pay a civil fine of nearly $18,000, which was the same amount it spent on illegal ads. Build a Better Michigan reportedly spent $1.8 million on the ad campaign featuring Whitmer, making the fine imposed by Benson worth only two percent of the infraction. Daunt said he isn’t sure how his group will choose to proceed or what their options are to appeal the decision, noting that he learned of the settlement through media reports. Zammit, of the Michigan GOP, said the decision also did not directly address the question of illegal coordination between the two Democratic groups. It’s illegal for a group engaging in issue advocacy to coordinate with a candidate. If a group does, it is required to abide by the campaign finance laws of express advocacy organizations and count the ad buys as in-kind campaign contributions. That contribution would be illegal because candidates cannot accept money from corporate sources such as those funding Build a Better Michigan, said Craig Mauger, executive director of the Michigan Campaign Finance Network. Benson did note that the groups coordinated: “The fact that BBM obtained video and audio of the candidate speaking directly to the camera from a predetermined script is sufficient to indicate that coordination occurred,” she wrote in the letter. The consequences political groups face after violating campaign finance laws are far-reaching, Mauger said. Allowing coordination with groups like Build a Better Michigan enables candidates to take unlimited money from dark money groups. Naturally, we can expect AG Nessel to do her...oh, who am I kidding!!! I agree. Nessel and Benson are as partisan as they come. Lansing—the crucible of corruption. It does not matter which party perpetrates. The toxic plume spreads faster than PFAS and lasts longer than PBB. So then are we going to have another few years of nothing being done but having the two parties tear at each other as the example has been set in DC? I hope not. It’s time for this nonsense to end. Get the damn job done all of you. The new guard has had it with the old reckless ways. shame on you all.